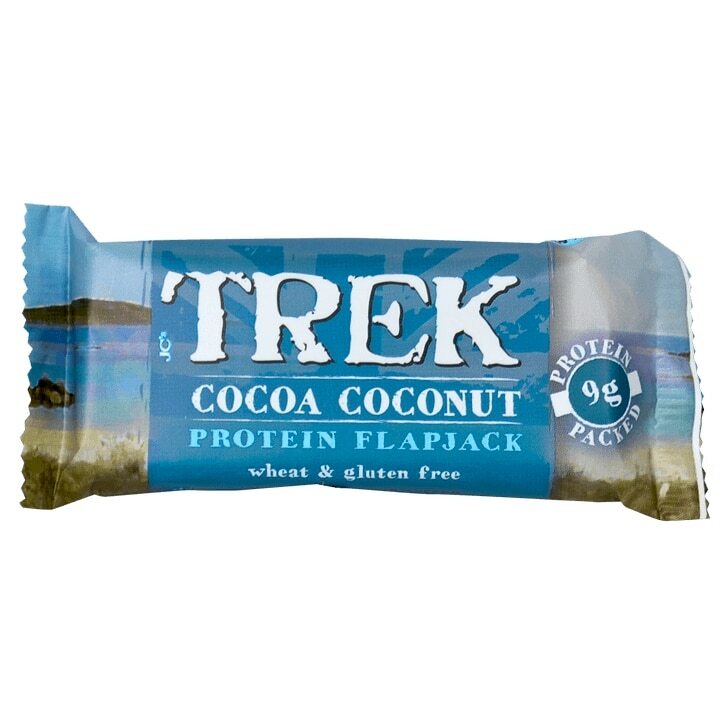 Trek Cocoa Coconut Protein Flapjack is rated 4.4 out of 5 by 10. Rated 2 out of 5 by sjk132 from Disappointing - tastes artificial I do appreciate that they've used good quality ingredients and it's 9g plant protein but there are just much nicer vegan bars out there. The coconut flavour seems artificial, overly sweet and sickly and the texture isn't great. The topping is also easily melted and overly sticky. Rated 4 out of 5 by Lacey67 from Great Protein snack If your exercising this is a great snack to have with you and it's full of protein. The only downside there is quite a lot of sugar per bar.